“I remember having my very first Ethiopian coffee at a small boutique roastery in Melbourne, known as Industry Beans back in 2013. The flavours were unlike anything else I had ever tasted. I was completely hooked from that moment on wanting to learn more about speciality coffee, and the craft of the coffee roaster. It has taken me four years to learn my craft and it’s been a very steep learning curve. It’s the potential for flavour, the diversity in coffee and the fascinating story of coffee growers that keeps me motivated”. “We source from coffee farmers who are as equally passionate about the crop they produce, and we celebrate the seasonality of coffee, always sourcing new harvest beans respecting the diversity mother nature provides. We take our role as coffee roasters seriously. We are passionate about telling the story of where our coffees come from, who grew them, and why they taste so special. It goes beyond marketing”. 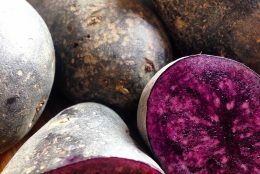 This ethos may be more labour intensive and may indeed cost more but for Brian it is definitely worth it, “Our production facility is small, so we buy in smaller quantities. So we are more expensive. We pay the farmer more, a lot more then fair trade”. Brian goes on to explain that while it’s a well meaning project, Fair Trade supports coffee growers by guaranteeing a premium on the stock market price for the commodity of coffee. This however is of course prone to fluctuate and can leave farmers with little for their efforts. All this despite customers ultimately paying a lot more due to the premium pricing that comes with Fair Trade branding. “We pay for quality, seasonality and the rarity of the coffee we buy. That in turn means our coffees are more expensive in comparison to commodity coffees. But we also know that customers will pay more for better quality, more sustainable and locally produced. We are proud to represent coffee farmers who do things differently; who do things better. Our measure of success when it comes to marketing is only achieved if customers are willing to pay more because they believe in what we are doing”. Considering how logistically problematic it can be to get the coffee beans to the roastery it must also be a challenge to distribute the end product to their market. 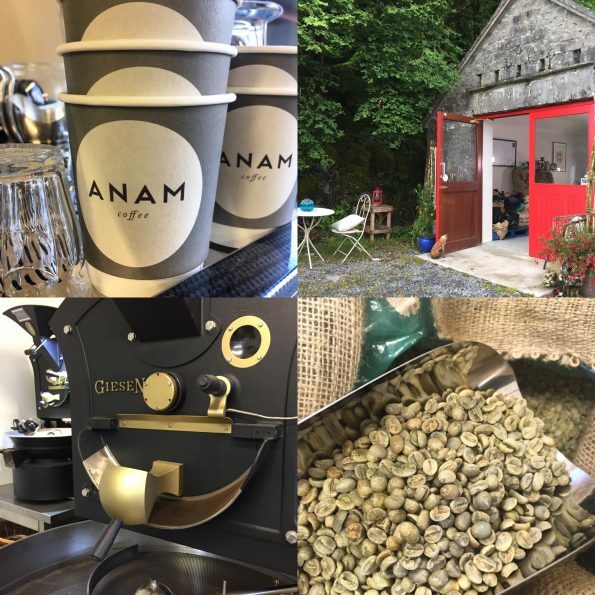 Deciding on one that mostly serves their local market of Clare, Galway and Limerick helped Anam focus on the needs of their customers at a local level. “We’re proud of our west coast roots and we really wanted to help drive interest into the world of speciality coffee but at a local level”, Brian explains. “That helps us with distribution. 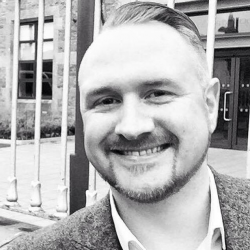 Having a smaller customer base allows us to really understand their needs better and helps us develop our business in a way that’s meaningful and relevant”. 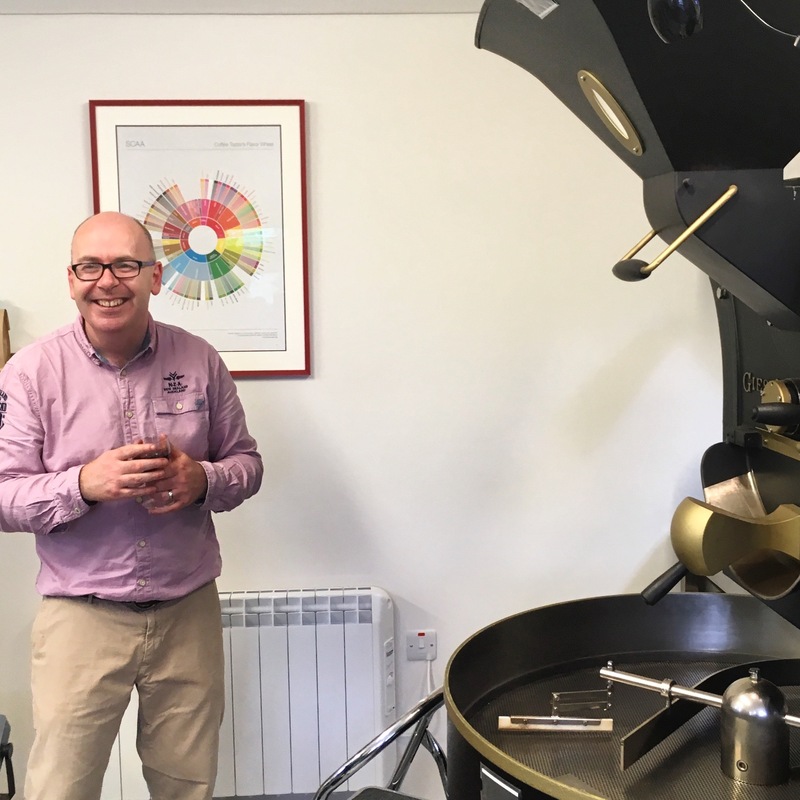 Brian also assumes the role of creative maestro by roasting the coffee beans at different temperatures for different lengths of time and taking into account diverse external factors such as humidity. While shutting out the world outside in the roasting process Brian explains that even 15 seconds can mean the difference between a perfect roast and one that is ruined. This intensity of being dedicated to the roast in the midst of rural Ireland one could be forgiven in thinking that Anam may not quite have their finger on the pulse in terms of understanding consumer needs. Yet nothing could be further from the truth. “I am extremely responsive. I see all of my customers several times a month. I’m always available, I listen and I’m visible. Being small has its advantages. We are nimble and can adapt quickly. I am constantly asking for feedback and I’m none too proud to accept we can still do things better. Having a small customer base allows me to really understand who my customers are and how we can serve them but it’s a journey and relationships take time to build. 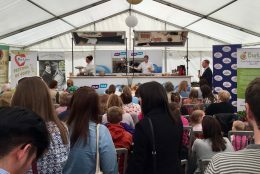 We also keep up to date with changing customer habits and trends in professional coffee publications and through market research on customer trends readily available through Bord Bia”. It has been but a year since Brian took the bull by the horn and stuck his neck out with his micro roastery. In an Irish market where knowledge of coffee is still in its infancy there is huge scope for education and it perhaps provides less challenges as opposed to long-standing coffee drinking nations such as Italy and France. This is not to say that consumers are not discerning, in fact the opposite is true. But in that short space of time how does he see the industry is changing? 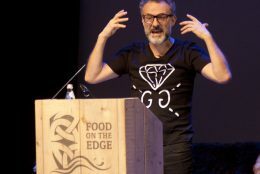 “Food producers and farmers are adapting to change. We are fast becoming storytellers. Consumers want to know more about the producer. They want to learn so that they can be reassured they are buying responsibly and sustainably. It’s the search of authenticity and provenance that farming and food producers need to showcase”. 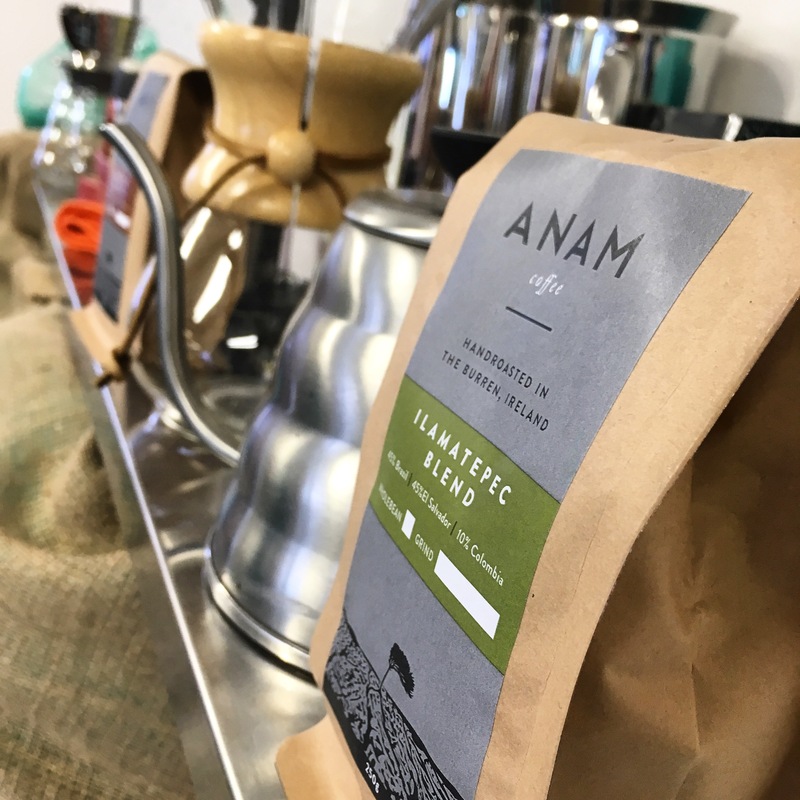 So even though Anam is in its infancy does Brian see where the business is going and what might be coming around the corner in terms of new blends or products? What does Brian wish that he had known before all of this and what advice does he give to others possibly taking the risk of setting up a small business? The answer is a simple yet inspiring and uplifting one. “That it was all possible”, he says. “That it was ok to take risks. That there is tremendous support out there and lots of help. You just need to know where to go to ask for it”. 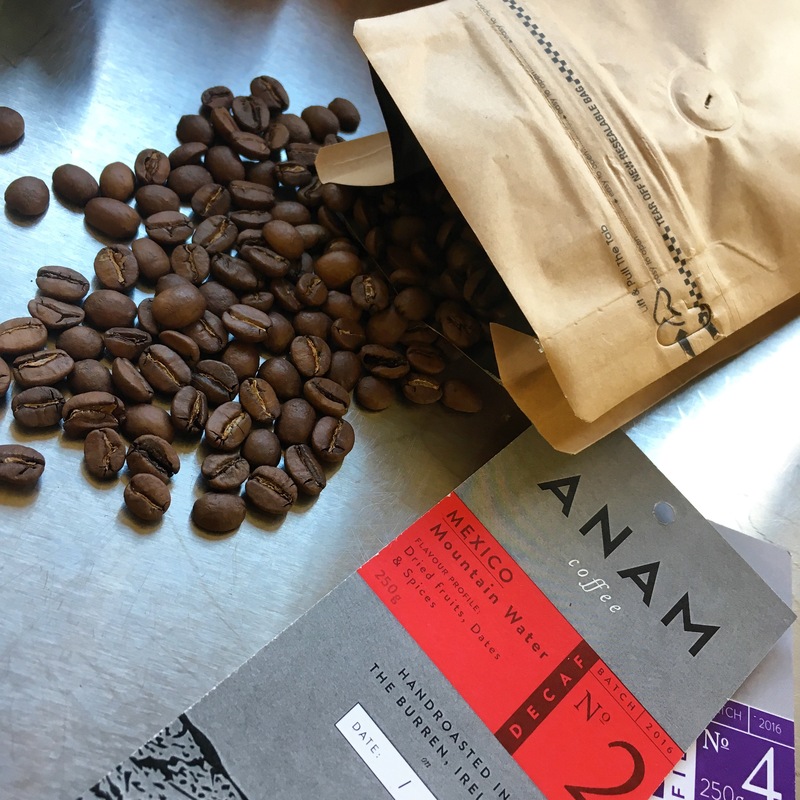 While writing this article I wrote down a couple of words that I felt conveyed the narrative of Anam Coffee. Provenance, story, sustainability, quality, innovation, and education truly stood out for me in trying to explain what is happening in this corner of north Clare. There is no lack of connection, authenticity and appreciation for the coffee beans, the farmers themselves, the roasting process, and all in the effort of producing a beautiful coffee for the consumer. Brian is a man not just with a thirst for his own product (pun intended), which is evident, but also with a passion for the whole process from bean to cup and that is something to be applauded.